In the 1911 census Herbert is shown as living at this address with his father Philip Francis, his mother Emily and his brothers Francis Thomas Milton and Arthur Frederick Milton. His brothers were also members of the FAU and also served in France. Herbert was single and worked as clerk and French correspondent with lace importers. He was a Quaker and attended the Peckham Prayer meeting, as did his brothers. 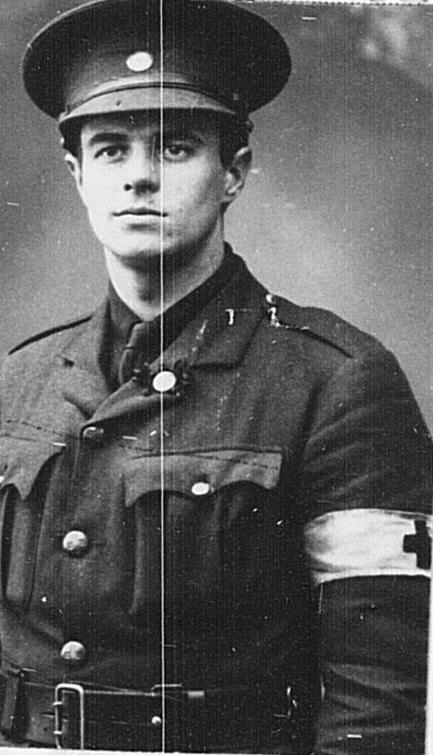 He was a member of the Friends Ambulance Unit and joined in September 1914. Herbert served in France from November 1914 to February 1919. On joining he spoke French, had a First Aid Certificate and a little driving. In France he worded as an orderly, cook and clerk and from May 1915 as a driver. He was awarded the Croix de Guerre on 22 June, 1917 and again in November 1918. Copy of his FAU service Card copyright of the Society of Friends in Britain, as is the photograph on this page.